Imagine yourself living in 100SqFt? It's easier than you imagine, for most of us we don't require these large living spaces. Especially for a lot of urban centres, the majority of time spent is out of the home in cafes, bars, club, stores, libraries, work, etc. But for only $25,000 you can have this amazing little gem! 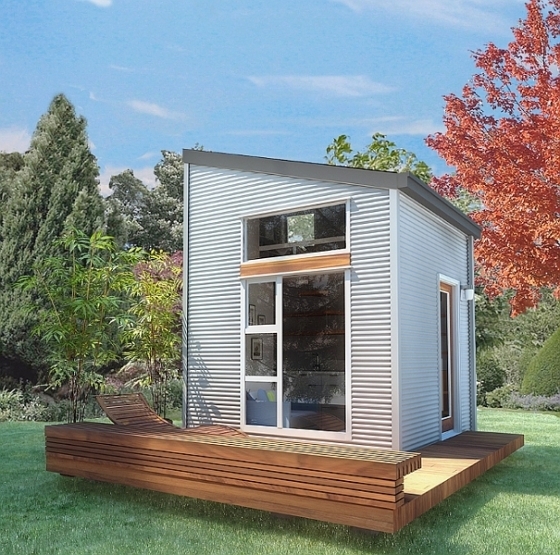 A 10’ x 10’ micro house with a 60’ loft space developed right here in Vancouver. It’s easy to assemble and flat packed so it can be shipped worldwide. They cost between $25,000 and $28,000, depending on how well you want it to be kitted out. You can also get “green” off-grid models (ie. solar-equipped), but those are custom-priced.